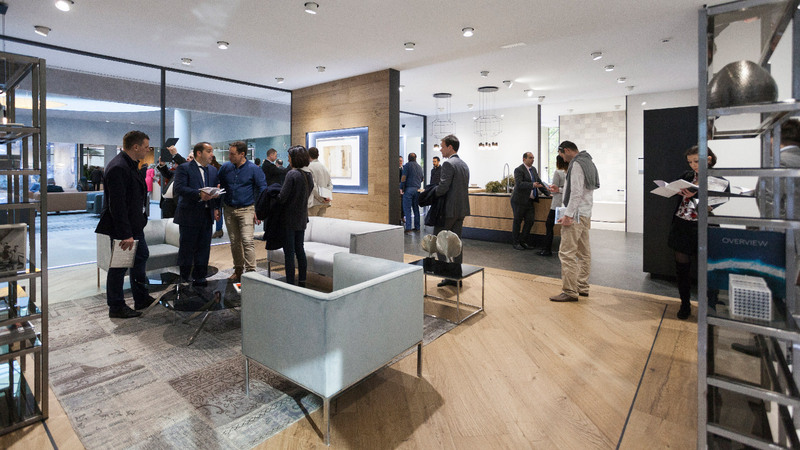 PORCELANOSA confirms its attendance record at the 25th International Exhibition. A new record which makes the International Exhibition become an unmissable event for the global interior design and architecture sector; as well as an economic engine for the hotel industry in Vila-real, Castellón and Valencia. Overnight stays have increased significantly, to be precise, 25% higher than in previous editions reaching 800 daily bookings, along with more than one thousand lunches and dinners. 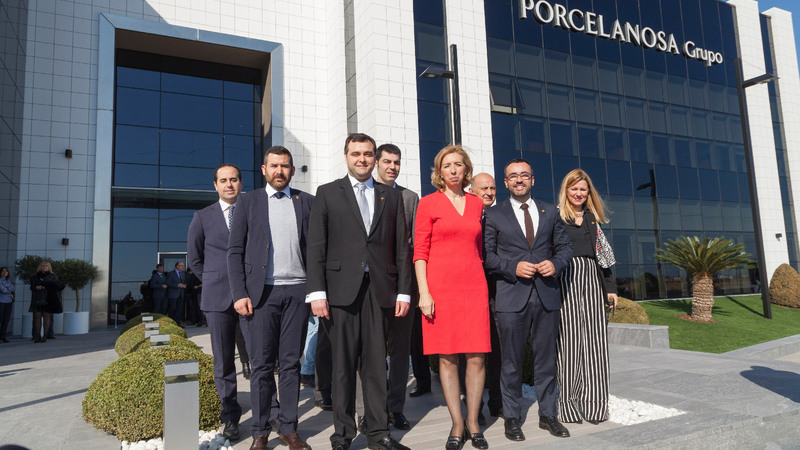 On January 29, to coincide with the opening of the 25th International Exhibition and the visit of the municipal corporation of Vila-real, Mª José Soriano, the Managing Director of Porcelanosa, revealed the most noteworthy information about 2017, which included the creation of some 200 new permanent jobs. 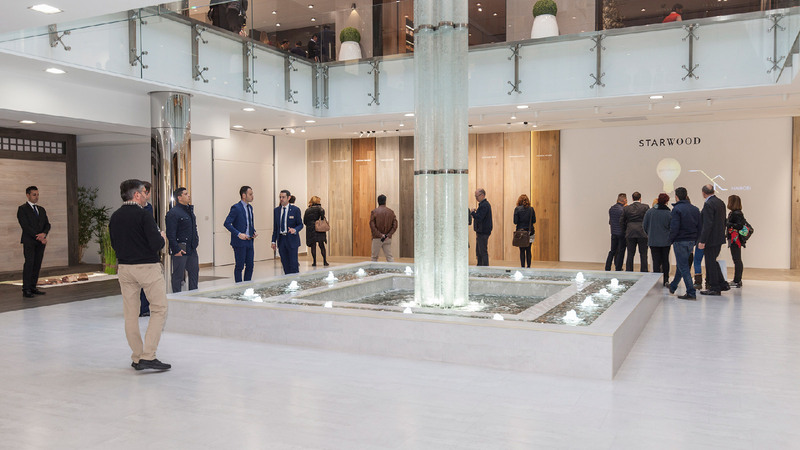 The PORCELANOSA Grupo ended up with a turnover of €889 million last year, which confirmed and exceeded the growth objective set by the company, which saw a 5% increase when compared to the previous year. 22% of this amount came from the national market, which shows a gradual improvement in Spain. Soriano also announced the start of the most important investment programme by the company which, is due to take place over the next three years, beginning with an investment of €80 million in 2018. 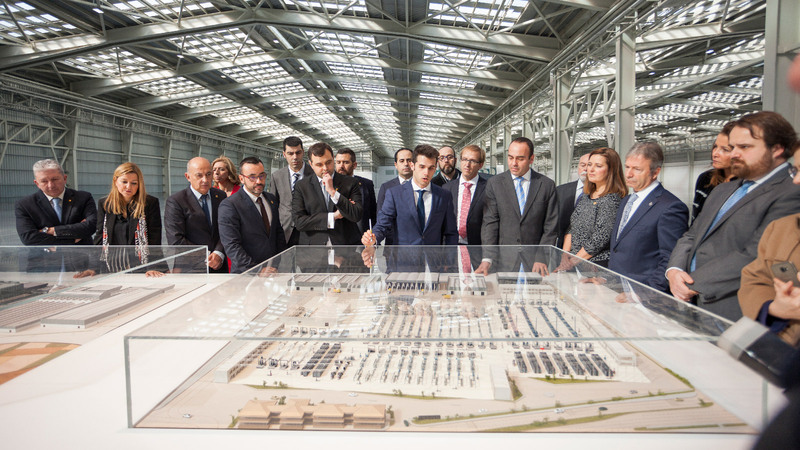 The company in Vila-real presented all its expansion and new construction projects that are being carried out in its central facilities. 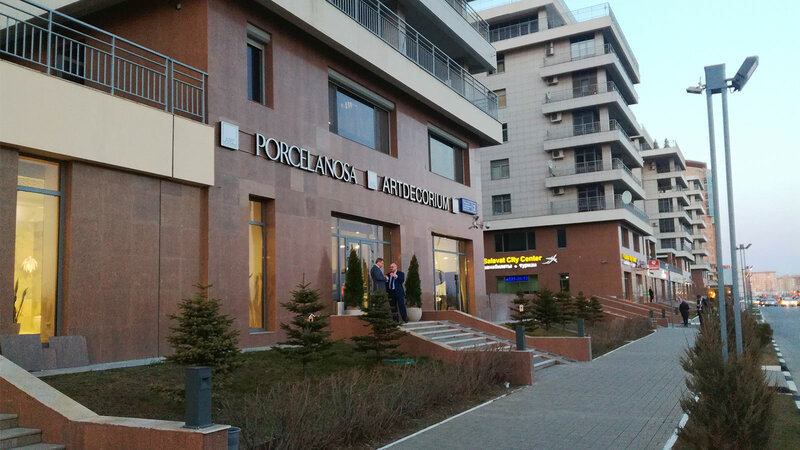 It is worth highlighting the new coating plant of Porcelanosa, in other words, an industrial unit which takes up an area of 9.000 square metres and a height of 16 metres, which will see an increase in production by 25%. An ambitious project which will be finished in 2020. In line with this new infrastructure, one can also find the expansion of the Venis production plant and the logistics centres belonging to both Gamadecor and Systempool. 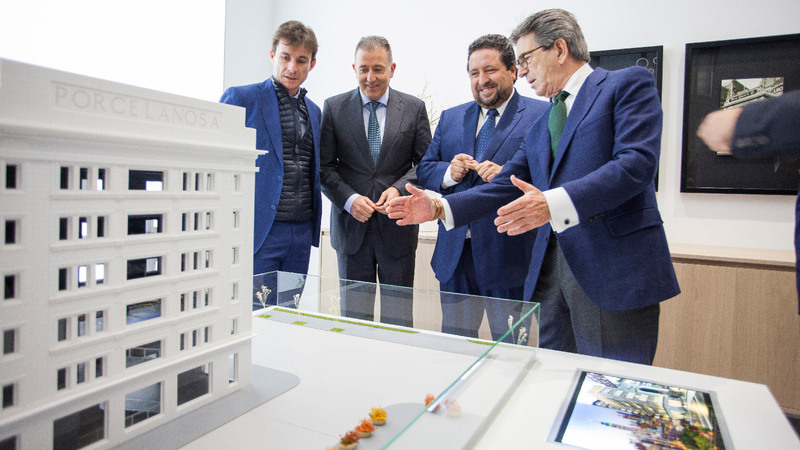 Soon, Porcelanosa will start up a new challenge by building a new ceramic production plant on an area of 300.000 square metres, and this building will take up an area of 100.000 square metres. 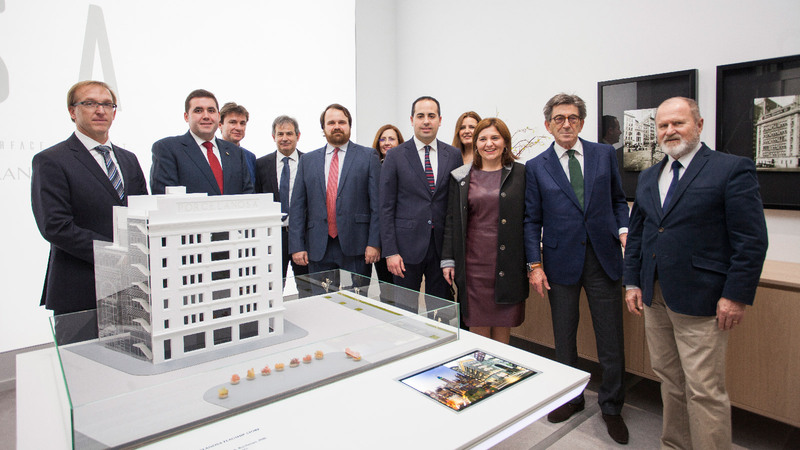 The headquarters for the eight firms from the Grupo have been restyled to accommodate the latest designs which will set the trends in 2018. 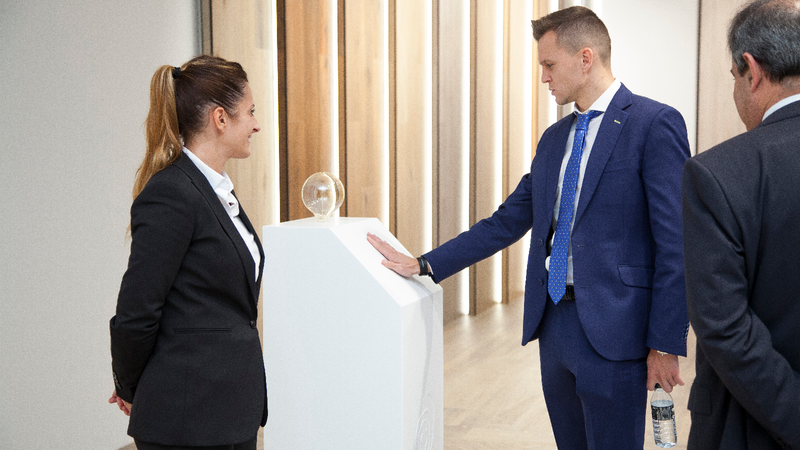 Porcelanosa new and digitalised showroom stood out thanks to ISA, its new Intelligent Surface Assistant which can guide visitors through the whole exhibition bringing forward the strong commitment to the firm’s technology. As far as products are concerned, the new Forest collection was an eye-catcher. A new series consisting of four Par-Ker ceramic parquet models manufactured with 95% of recycled material which, reinforces Porcelanosa’s environmentally friendly stance. The showroom by Venis has impressed thousands of visitors because of the presentation of the new Starwood models, which have achieved in becoming one of the Premium models from the Porcelanosa Grupo in just one year, thanks to their quality and wood finish which, make them suitable for any space, both interior and exterior. Gamadecor, the leading company in the sale of kitchens in Spain, has opted for its new collections in kitchen and bathroom furniture, auxiliary furniture and lighting at this 25th Global Architecture and Interior Design Exhibition. The kitchen that leads the way is none other than Carnival, which belongs to the Premium series; and regarding the bathrooms, the Magma collection is the one that catches the eye. For its part, Systempool has presented its latest designs related to Krion®, the state-of-the-art Solid Surface from the Porcelanosa Grupo offering new series and colours. Along with K-Life, which continues to win awards and recognition, along with delighting those who visit the firm’s showroom. On the occasion of the 25th International Exhibition, L’Antic Colonial, the firm specialised in natural materials from the Porcelanosa Grupo, in its renovated showroom presented its most outstanding and latest designs, offering among them the new Range collection, which is made of natural wood. 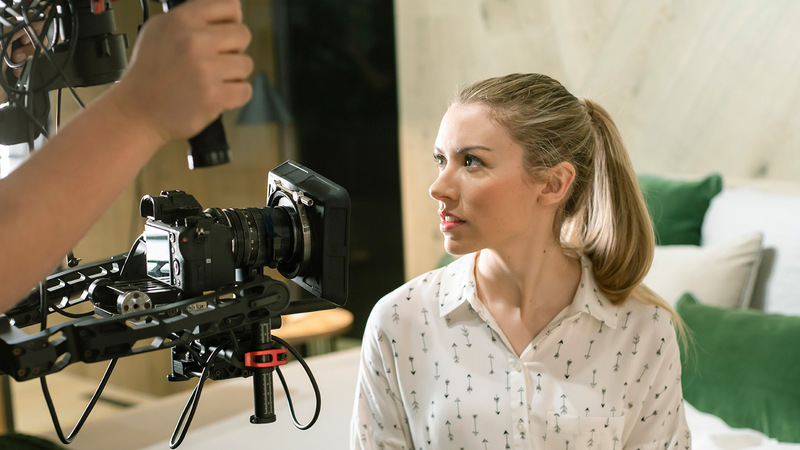 Made up of four different large-format models, the surface with its natural finish really stands out. Butech, the firm specialised in building systems from the Grupo has presented the Shower Deck system this week, which makes it possible to manufacture totally flat shower trays, built into the bathroom floor. 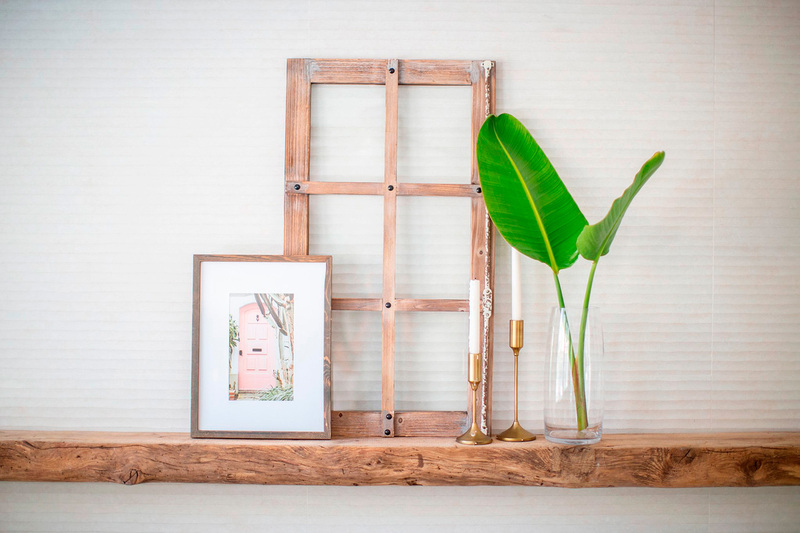 The water drains out between the tiles, therefore, the shower drain is hidden from view, so a wooden flooring effect can be achieved but with the benefits of ceramic tiles. Noken Porcelanosa Bathrooms, the firm specialised in bathroom equipment, presented its original designs at this 25th International Global Architecture and Interior Design Exhibition from the Porcelanosa Grupo. The elegant looking black colour has played a major role when offering this matt finish in its tap pieces for: basins, bidets, bathtubs, showers and accessories; thus, providing the bathroom with more decorating options. Lastly, Urbatek is a clear example that technology and design can go together, as it has been shown through XTone, a large-format porcelain, suitable for kitchen worktops and furniture, which are resistant to: abrasion, impacts and chemical products. Thanks to its low degree of absorption, we are dealing with a hygienic, anti-bacterial surface with easy-to-clean properties.